Emerging on the music scene with 1973's 'Greetings from Asbury Park, N.J.', Bruce Springsteen was heralded as 'the future of rock and roll.' Rob Kirkpatrick's "Magic in the Night" is a lens through which listeners can re-evaluate Springsteen's music as he morphs from 'the next Bob Dylan' to a Reagan-era pop culture icon, and again to today's populist voice, discussing each album in chronological order. Kirkpatrick's keen insights show why the classic 1975 album 'Born to Run' is the most popular album of all time (according to a 2003 Zagat survey) and what's made Springsteen the most respected and influential artist in rock music. 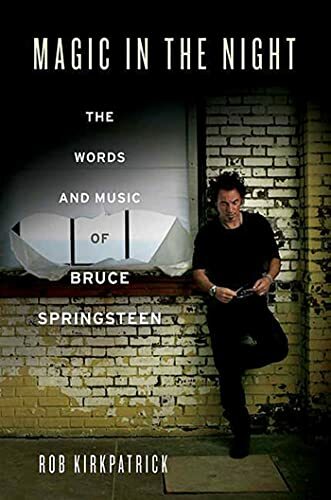 Springsteen fans have never had a book like this, one which lets them immerse themselves in his music and learn about his influences, lyrical choices, and the themes Springsteen has been drawn to again and again in his career. ROB KIRKPATRICK is the author of 1969: The Year Everything Changed and Cecil Travis of the Washington Senators: The War-Torn History of an All-Star Shortstop, and he edited the multivolume Greenwood Encyclopedia of Rock History. He received his Ph.D. in English from Binghamton University and is currently a Senior Editor with Thomas Dunne Books. He lives in Rye, New York.